To select a template for your email campaign you need to create an email first. Click on [Emails] or [Autoresponder], depending on the type of campaign you want and then create the campaign. Follow the creation process. Select the group(s) to which you want to send the campaign to. Enter the basic settings such as sender name and campaign name. In the following step you can access the free CleverReach templates. 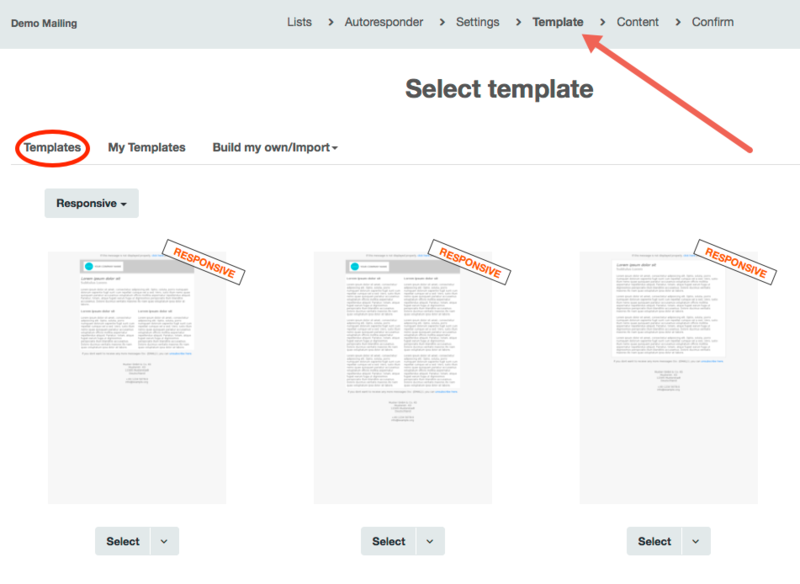 You can also use custom templates in CleverReach. You will find more information on this here.